Nature Exposed to Our Method of Questioning - John C. Wunsch, P.C. One would think that merely observing something would not work a change in that which is being observed. But scientists have long known of “the observer effect.” This refers to changes and alterations that the act of observation makes on that which is being observed. The observer mistakenly believes that his observations, and the information derived from these observations, are correct and accurate. How could they not be, the observer reasons, since all we’re doing is looking? But the simple act of looking is, unbeknownst to the observer, working a change in that which is being looked at. The information he obtains is inaccurate. Heisenberg’s uncertainty principle established that there’s a limit to the precision by which the physical properties of a particle—particularly its position and momentum—can be measured. That is, the more accurately the position of a particle is determined, the less precisely its momentum can be known, and vice versa. Heisenberg understood as well that it’s not nature that’s being examined but nature revealed as a result of a particular measuring device. “This again emphasizes a subjective element in the description of atomic events, since the measuring device has been constructed by the observer, and we have to remember that what we observe is not nature in itself but nature exposed to our method of questioning.” Werner Heisenberg, Physics and Philosophy: The Revolution in Modern Science, pgs. 24–25 (Harper 2007). The observer effect is a neglected and underappreciated aspect of the legal enterprise. 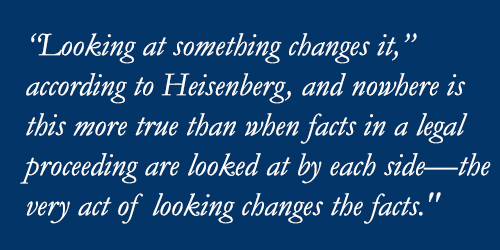 “Looking at something changes it,” according to Heisenberg, and nowhere is this more true than when facts in a legal proceeding are looked at by each side—the very act of looking changes the facts. 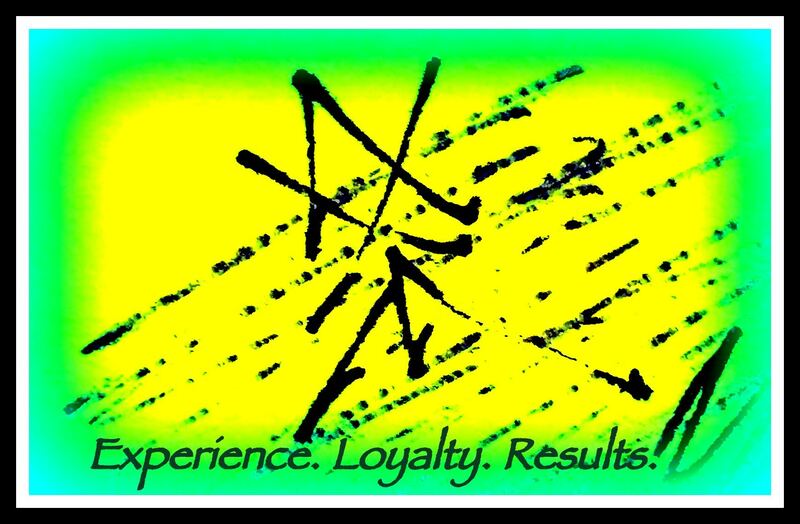 I’m not referring to adversarial bias, faulty memory, or testimonial inaccuracy, whether purposeful or inadvertent. The observer effect encompasses and surpasses them all. Rather, what’s being described here is a fundamental law—looking at a particular set of facts changes the facts being looked at. Why should this be so? It’s due to both the manner by which we look as well as how we interpret what we see. Both can give rise to distortion. There are no omniscient narrators in a law case—each witness can only testify in the first person. Each is limited to what they personally know and have observed. Is there a way to eliminate the observer effect? No, but the observer effect can be lessened by simply recognizing that it exists, and then taking pains to structure the investigation and questioning in such a way so as to allow as many facts as possible to be independently verified and corroborated. Nor is the observer effect, at least in the legal context, necessarily to be considered a fault or flaw. Each side should be given the opportunity to present their case even if this means that each will emphasize those facts most favorable to their position. The observer effect may create distortion, but in certain aspects it may also enhance clarity. By piecing together multiple at times conflicting viewpoints, a complete description begins to emerge.